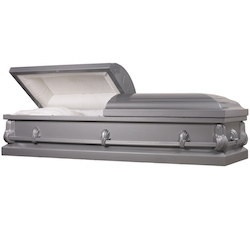 We offer a large selection of traditional caskets and containers designed to meet the needs of cremation and burial requests. All wooden caskets and containers are suitable for services involving cremation as a means of final disposition or burial service. A cremation container, appropriate when a private viewing has been scheduled, is made from both composite and solid wood components. We invite you to browse our selection of alternative cremation containers.